SAN JUAN – The scheme was as simple as the system was porous. Army National Guard soldiers signed up as assistants to help recruiters, getting paid a referral fee each time someone enlisted and another bonus if they went to basic training. If someone joined as an officer, the payment jumped as high as $8,500. But the assistants didn’t wait that long. 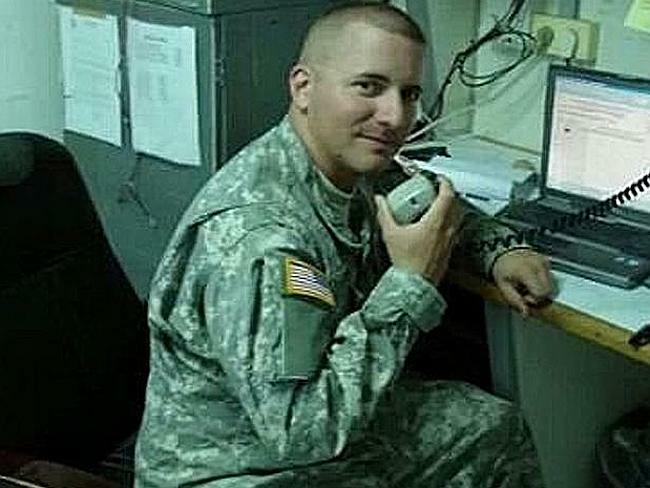 According to federal court documents, they simply entered the potential recruit’s name, date of birth and Social Security number into an online account, then told the company under contract with the National Guard that they had signed up another soldier when they had not. When the bonuses was wired to their bank account, they gave half the money to the recruiters, who were barred from getting payments themselves. These fraudulent bounties were collected for seven years by recruiters and “recruiters assistants” for the Puerto Rico National Guard. The arrangement was laid out in federal indictments Thursday of 25 current and former guardsmen on charges of conspiracy to defraud the government, wire fraud and aggravated identity theft. Officials said close to $1 million was stolen. The charges, in 14 separate indictments, are the largest at one time in a probe by the Justice Department and Army into a national scheme that went undetected for years. Investigators have said the fraud spread across several states could cost taxpayers up to $100 million. A criminal enterprise in every state that military officials say included hundreds of officers and enlisted soldiers has led so far to 108 prosecutions in civilian courts; another 70 soldiers and officers have been fired, reprimanded or demoted, Army officials said Thursday. The National Guard Recruiting Assistance Program, established at the height of the Iraq war to boost enlistment in the guard, was shut down by the Army in 2012 when the scale of the fraud was discovered. The indictments returned this week by a federal grand jury in Puerto Rico are unlikely to be the last, an Army official said. “The Army is participating in a multi-agency task force to investigate and resolve fraudulent actions associated with the Recruiting Assistance Program and has had a sizable task force investigating other instances of fraud [in the program] for more than three years,” Lt. Col. Joe Buccino, an Army spokesman, said in an e-mail. The recruiting program was open to guardsmen who were not on active duty, retirees, relatives and some other civilians. These informal recruiters were paid as contractors of Docupak, an Alabama-based company the Army hired to run the program. The bonuses helped the Army meet its recruitment goals during a crucial period when the military needed to boost its ranks, paying out more than $300 million for roughly 130,000 enlistees. The first sign of trouble came in 2007 when officials at Docupak reported a few cases of suspected fraud to the Army’s Criminal Investigation Command. Army officials substantiated those suspicions. By 2011, the Army’s audit agency had begun investigating the entire program. Those indicted this week in Puerto Rico were almost all active National Guard soldiers. “It was the object of the conspiracy for defendants and their co-conspirators to unlawfully enrich themselves by stealing and obtaining …. program bonuses under the false and fraudulent pretense that they were responsible for referring and recruiting soldiers into the Puerto Rico National Guard, when in fact they did not refer or recruit these potential soldiers,” one of the indictments said. At a Senate hearing last year, military investigators said the fraud came to at least $29 million and went as high as $100 million. As of last spring, civilian courts had ordered $1.4 million in restitution, official said, and the Army has identified approximately $3.9 million in actual fraudulent payments. Twenty-five people have been charged in fourteen separate indictments for their alleged participation in a conspiracy to defraud the United States and the National Guard Bureau of money and property, wire fraud, and aggravated identity theft, announced Rosa Emilia Rodríguez-Vélez, United States Attorney for the District of Puerto Rico. The United States Secret Service is in charge of the investigation with the collaboration of the U.S. Army Criminal Investigation Command, the U.S. Postal Service Office of Inspector General, the Department of Defense- Defense Criminal Investigative Service, and the Puerto Rico Police Department. The indictments were unsealed October 21 upon the arrest of the accused. The indictments, returned Wednesday by a federal grand jury in the District of Puerto Rico, include the following individuals: Recruiters Cristobal Colón-Colón; Ángel D. Rivera-Rodríguez; Enrique Costas-Torres; Gregorio Quiñones-Pacheco; Guillermo Cruz-García; Edwin Izquierdo-Montañez; Luis De Jesús-Negrón; Gabriel González-Franco; Gilberto Rivera-Quiñones; Juan Rivera-Rivera; and Héctor Rodríguez-Colón; and Recruiter Assistants Axel Aponte-García; Gilberto Gierbolini-Emanuelli; Freddie García-Ruiz; Félix González-Rodríguez; Radamés Robles-Meléndez; Emilio Rivera-Maldonado; Carlos Meléndez-González; Natalio Soto-Rivera; José Rivera-Pereles; Félix Lasen-Nieves; Ángel Perales-Muñoz; Alexis Betancourt-Jiménez; José Velázquez-Lugo and Garby Ruiz-Rosado. These charges stem from a scheme utilized by the defendants from 2007 through 2011. In or about September 2005, the National Guard Bureau, located in Arlington, Virginia, entered into a contract with Document and Packaging Broker, Inc. (“Docupak”), located in Pelham, Alabama, to administer the G-RAP. The G-RAP was a recruiting program designed to offer referral bonus payments to Army National Guard soldiers to recruit civilians to serve in the Army National Guard. As part of the G-RAP, the National Guard Bureau reimbursed Docupak for the recruiting referral bonus payments that Docupak paid to participating soldiers. The National Guard Bureau also paid Docupak an administrative fee for disbursing each of the referral bonus payments. The Program had two primary participants: (1) Recruiters: whose job it was to assist the Docupak subcontractors in enlisting new members into the Army National Guard; and (2) Recruiter Assistants, who were Docupak subcontractors: whose job it was to identify and assist recruit new potential members into the Army National Guard, and assist Recruiters with other related duties. Under the contract specifications of the Program, only Recruiter Assistants were eligible for recruiting referral bonuses. The Program required Recruiter Assistants to establish an online account in their name to record their referral and recruitment efforts. The Recruiter Assistant would input the personal identifying information of each recruit into the account. A Recruiter Assistant could receive a bonus between $500 and $1,000 for every referred soldier that enlisted in the Army National Guard, and an additional bonus between $500 and $1,000 once the referred soldier was sent to Basic Training. If the referred soldier had previously served in a different military branch, did not need to attend Basic Training, or joined the Army National Guard as an officer, the Recruiter Assistant could receive a bonus between $2,000 and $8,500. The Recruiter Assistant could receive the referral bonus payments either through direct deposit in a bank account, or a VISA account. It was the goal of the conspiracy for the recruiters to enrich themselves unlawfully by defrauding the United States and performing acts in violation of their official duties, in exchange for things of value. The Recruiter Assistants provided things of value to the Recruiters, in exchange for their assistance in defrauding the U.S. National Guard. The alleged scheme was to knowingly caused the transfer, possession, and use without lawful authority, of a means of identification of another person, which contained the name, date of birth and social security number of potential soldiers; and by submitting the Personal Identifying Information (PII) for unauthorized purposes, they generated a fraudulent referral bonus of the G-RAP program, that would then create an interstate wire transfer to the coconspirator’s different bank accounts. An example of the scheme, as alleged in one of the indictments, is as follows: The defendants allegedly cheated the program, known as the U.S. Army National Guard Recruiting Assistance Program, or “G-RAP,” by having the Recruiter Assistants create a G-RAP account and or allow the Recruiters to use the RA’s G-RAP account to enter all information necessary to claim recruiting bonuses that the RA’s had not earned. Defendants applied for the G-RAP bonuses using personal identifying information (PII) given to the Recruiters by enlistees who would go to the recruitment office seeking orientation to enlist in the Puerto Rico Army National Guard (PRANG). The recruiters would obtain the PII in their official capacity as a Guard recruiter and would use the RA’s G-RAP account to apply for fraudulent recruiting bonuses. The RA’s were paid bonuses that would be deposited by Docupak in their personal bank accounts or a VISA Card that was given to them by Docupak, based on the misrepresentations made by the defendants of the recruitment process. Some RA’s withdrew a cash amount from each bonus and paid a kick-back of approximately half of the bonus to the Recruiters and in some cases the Recruiter’s kept the bonuses for themselves. “These charges clearly demonstrate that we will take firm action against those who choose to exploit our military system for personal and criminal gain. We remain committed to investigating and apprehending those who cheat the system for personal gain, and will continue to work towards the eradication of this type of fraud in Puerto Rico,” Rodríguez-Velez said. If found guilty, defendants face a maximum penalty of ten years in prison for the conspiracy, 20 years in prison for wire fraud, and a mandatory two year consecutive term in prison for aggravated identity theft. The case is being investigated by the U.S. Secret Service. The case is being prosecuted by Assistant U.S. Attorney Olga B. Castellón-Miranda and Special Assistant U.S. Attorney Amanda C. Soto-Ortega. Indictments contain only charges and are not evidence of guilt, the U.S. Attorney’s Office said. “Defendants are presumed to be innocent unless and until proven guilty,” the office said. 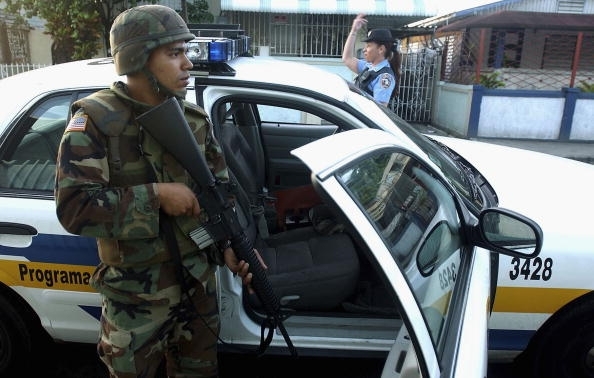 Puerto Rico National Guardsman assists police in San Juan.